Description: MUSIC TO GET YOU IN THE SPIRIT OF PRAISE AND WORSHIP. 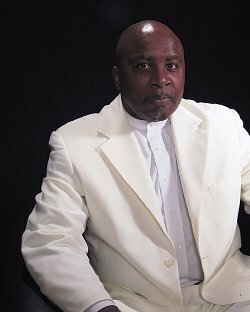 CONTEMPORARY CHRISTIAN PRAISE AND WORSHIP MUSIC COLORED WITH GOSPEL & JAZZ. On their Ivory Coast Records debut CD, First Fruit, the Chicago-based gospel group Distinctive Praise, unveils a project filled with heartfelt, harmony-laden Christian/Gospel music that combines joyful exuberance with praise and worship. Distinctive Praise’s tight-knit chemistry is apparent throughout First Fruit, which was produced by noted recording artist Michael Manson and consists entirely of the group’s original compositions. Their effortless harmonies and seamless instrumental rapport are prominent on the album. The members of Distinctive Praise have been making music for much of their lives, where they developed their own musical vision that was free of the influence of musical trends. They grew up in families that were both musically inclined and church-oriented. When the time came to record First Fruit, Distinctive Praise found a sympathetic ear in Michael Manson. Manson kept everything organic and real. He was very respectful of the group’s ideas and was very supportive and careful not to step on anybody’s toes. He seemed more interested in capturing the true essence of the group rather than imposing his own agenda. (Chicago) - Chicago-based gospel group Distinctive Praise, sets the stage for a new era in gospel music with its debut CD, First Fruit. On sale now, this harmony-laden project guarantees to help you get your praise and worship on. Loaded with both traditional and contemporary selections, First Fruit” has something to offer everyone. Track three, “In the Name of the Lord,” gives listeners that “down home church” experience. While track one, “Send Your Blessings,” is a jazz-infused piece that is destined to be any worshipper’s favorite. For more information, visit http://www.myspace.com/distinctivepraise. Ivory Coast Records is an independent record label created to produce quality music that sends a message of love and touches the hearts of its listeners. The label’s genres are adult contemporary, Christian, jazz and gospel music. The current roster includes renowned musical groups, Ivory Dreams and Distinctive Praise. Accomplished pianist KC Fortenberry is the founder.